since the official announcement of iOS 7, Android users has already start taking the pleasure of imitating the look and feel of Apple’s newest iOS. Two of iOS 7’s new feature enhancements can now be part of the Android experience, thanks to some support from third party app developers. iOS 7 comes with a visual theme that is completely different from the previous versions. Instead of the traditional blue themed interface, iOS 7 now boasts a simpler, more lightweight and near-transparent interface. To match the new UI, the app icons have also changed significantly, based on a flatter, glassy look and feel. Android users can download the new set of iOS 7 icons and install them with the help of any theme supported launcher with the ability to use third party icon packs like Nova Launcher. Just install Nova Launcher from Play Store. Once the launcher is active, follow the steps below. Download and install the iOS 7 icon pack. In Nova App Launcher screen, press the Menu button on the top right corner of the screen (the three vertical dots). Select Nova Settings >> Look and feel >> Icon Theme. 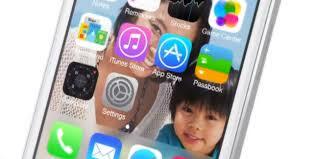 Now select the iOS 7 icon theme; and now your app icons will resemble those of iOS 7. You may additionally set a suitable wallpaper to make it resemble more of iOS 7. You can also download the complete iOS theme for Android that includes iOS 7 lock screen too; and refer to the included notes for further details on installation and use. iOS 7 is built on a layered approach. Each of the app pages opened in iOS 7 logically stacks up one on top of the other and you can actually see through the translucent layers. To make the layering concept look even more realistic, the home screen app pages have a unique effect. The wallpaper on the home screen in iOS 7 now moves slightly along with any device movement. The relative position of the app icons, on the other hand, however, remains constant. This creates a parallax effect, wherein the wallpaper appears to be at a greater depth than the app icons. Android users can now feel this effect with 3D Image Live Wallpaper. It can give you the similar iOS 7 Parallax effect from any wallpaper. Using OpenGL accelerated graphics, it creates movable Home Screen images that are sensitive to movement. The app makes use of your phone’s gyro sensor to track your phone’s movements. Hence, 3D Image Live Wallpaper will only work on devices that include a Gyro Sensor. Just download and install 3D Image Live Wallpaper on your Android phone. Tap and hold an empty area on the Home Screen. This will bring up the Wallpaper menu. Select Live Wallpapers. You will now be taken to the list of live wallpapers installed. Select 3D Image Live Wallpaper >> Settings to change the Image being used or view other options. Choose Set Wallpaper to set it on your Home Screen. Enjoy the 3D Parallax effect by slightly tilting your phone and watch the wallpaper also move with it. 3D Image Live Wallpaper works only with a Gyro Sensor. If you don’t have gyro on your device, you can try a similar effect with 3D Perspective Wallpaper which also works with an Accelerometer, though you might not find the effect as realistic as 3D Image Live Wallpaper. Both 3D Image Live Wallpaper and 3D Perspective wallpaper are paid apps. However you may also use Aptoide to get them for free. Refer to this article for more information on how to get paid Android apps for free.